On 28 March, 18.30-20.00 in the Statenzaal at the Faculty of Law, the next Jean Monnet lecture takes place: ‘European elections in times of crises: bring on the Opposition!’ by Luuk van Middelaar. As part of this year’s focus on the EP elections, van Middelaar’s presentation will provide an expert account and an insider’s view of the build-up to the vote and the relevance of the upcoming elections for the future of Europe. 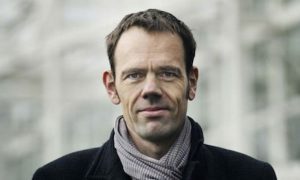 Luuk van Middelaar is a political theorist, historian and award-winning author. He was the chief speechwriter and a close advisor to European Council President Herman Van Rompuy (2010-2014). Author of the prizewinning book The Passage to Europe, Luuk van Middelaar has just published ‘Alarums and Excursion: Improvising Politics on the European Stage’ (March 2019), a groundbreaking account of the Union’s crisis politics. In his latest work, defined “quite simply the most insightful book on Europe’s politics today” by European Council President Donald Tusk, Prof. van Middelaar provides a revealing and candid portrayal of a Europe improvising its way through a politics of events.